By now, if you’ve been following the news then you’ve read or seen the Pat Narduzzi interview where he waxes philosophical on the transfer portal and Mark Whipple’s passing game. The interview is a couple of weeks old, and if you haven’t seen it you can watch it here. One thing jumped out at me, and it was not about the passing game. What I found interesting was that Narduzzi, in passing, acknowledged that the running game was pretty good, and so it got me thinking, just how good was it? Actually it was historically good. I said as much in one of my first posts (right after the Virginia Tech game). After two more ACC games, the ACC Championship and the Sun Bowl (four games in total), the statement still stands. We averaged 228 yards per game, which was good for 18th nationally. We averaged 5.6 yards per rush, which was good for 13th nationally. We averaged 228 yards per game, which was good for 5th best since 1975. We averaged 5.6 yards per rush, which was good for the BEST YPA EVER (since 1975 which is all any of us really care about). We averaged 2.0 TD’s per game, which cracked the top 10. Specifically the 2018 squad finished as the 9th best since 1975. Note that two of the top 5 belong to Tony Dorsett. Notice that three of the top 6 belong offensive lines primarily recruited by Paul Chryst. It is fair to note that Pitt finished 90th in Red Zone Efficiency in 2018. You have to wonder if Shawn Watson would still be employed if he’d just kept it on the ground more inside the 20? Two Talented Senior Running Backs. First, the running backs. Hall and Ollison rank as (statistically) the top single season running back tandem in Pitt history. I believe a big part of this is because they stuck with the program for four years and developed into really good seniors. As a reward, both of them are going to have a good shot at getting drafted. Hall was invited to two college all-star games, and Ollison was recently invited to the NFL combine. I’m not sure if anyone would have bought into that if we brought that up as a prediction three years ago, so credit where credit is due. Nice work Hall & Ollie. “It’s my job”. He said that twice, and I’ll bet he didn’t come up with it on the spot. Somebody told him that. Somebody indoctrinated it into his head. That somebody is Andre Powell, and I think that we need to like what we’ve seen from Powell during his tenure. A quick glance at the numbers above shows a minimum of +1 YPC increase over any previous year. Some of this was Yards After Contact (I have no stats on this so please post link if you do) and some of it was just great blocking. Both of our starting guards spent most of their college careers switching positions and were originally recruited by Paul Chryst to play defense. Borbely’s zone blocking scheme helped a lot, but so did his ability to develop run blockers. I remember one of the guards (can’t recall if it was Herndon or Dintino) in a preseason interview basically saying that Borbely was a better coach than Peterson. He was diplomatic of course, and he said something along the lines of (I’m paraphrasing here) “I personally take coaching better [from Borbs], and I’ve developed a lot”. I’d say the entire line developed a lot, because they finished 23rd in “Line Yards” (a measure of how well they opened holes for runners), and a whopping 3rd in “Power Success Rate” (a measure of how successful they were in getting a first down or a touchdown with 2 yards or less or less to go on 3rd or 4th down). Pitt ranked 44th and 89th respectively in these two categories in 2017. The other thing I will point out regarding the O-line was that with the exception of Center Jimmy Morrissey, they were all Seniors. Physical development matters. I believe 2018 was a case of four somewhat-talented, well-developed 21 and 22 year olds who out-executed and out-muscled more talented but less developed youngsters in many cases. As a Pittsburgh football fan, you have to love that. So to wrap it all up, we had a great year on the ground because of a perfect storm (in a good way). We had couple of talented and well-developed senior backs. We had a great run blocking offensive line, and the backs and line were coached by the right guys at the right time. I’m not sure if we can continue to churn out these types of stats year over year, or if “Air Whipple” will even want to, and that is a topic for another post. What I can tell you is that despite how the season went or the rest of the team performed, and despite whether or not you believe the program is trending up, we witnessed something rare and spectacular in 2018, and we should all be proud of that. Great article, MM! You really laid it out for everyone to see. And I think you are right about the perfect storm. It is not reasonable to think that new RBs and a rebuilt OL can produce similar results. Great job on the article and stressing the importance of physical development. From what I have read and witnessed, the OL is the hardest area for 18 thru 20 year-olds to assimilate, especially from a physical standpoint. MM – excellent job. Reed will be pleased to see you incorporating all those stats! Appreciate the time that writing that article had to have taken. Major Majors… what day is he announcing? Sure hopin’ he decides to be a Panther! I don’t think anyone, including Ike would have thought that the O-line would be that productive. What an incredible job, especially when everyone knew we could not pass the football. Great to see Ollie return to his freshman form and Hall become much better. You also have to wonder what might have been if Morrisey doesn’t go down. It couldn’t have happened at the worst possible time, but at least the Coastal had been wrapped up and the running game was the reason. Even though we beat Wake with the pass, it was because they sold out to the run. So this coming year, we also have the mystery of an unknown line, without four seniors. Lots of big bodies, but will they prove worthy? Devonshire supposedly is making his announcement a week from today Feb 6th.—-MM you are absolutely right on as it was the perfect storm for our running game. Again without Borbely and his zone blocking scheme the running numbers would not have happened IMO. I guess the question that should be asked was whether this zone blocking scheme was a negative for our passing game and the dismal numbers that resulted. Next question is what will Whipple do if anything with our OL scheme for next season when he advances his wide open passing offense. Truck will be our FB. Great article MM, certainly Reed worthy. gc: you’re right, no way did I think PITT would have had such success with their ground game.. but I will say… I didn’t buy into the theory that the PITT O-line would be so terrible as some suggested. I’ve been tooting Halls horn for a while now and I’m right there with MM in the thinking that there is nothing wrong with playing 5th year seniors on the O-Line. I just don’t see the correlation between players like Dintino and Herndon wining the first team jobs and bad recruiting. On the other hand, I didn’t think the previous years O-Line would be so bad either. but they were pretty bad. What made the PITT running game so remarkable was their inability to pass the ball forward. Which leads us to this coming year. I don’t think it would be fair to blame the backup running backs for not getting many carries last year. Hall and Ollison deserved every carry they got. Same goes for the backup O-Lineman. The question is and doesn’t it seem like every year there is a big question to be answered, will Whipple be able to solve the passing woes that plagued the PITT offense last year? I think he can and that will in turn help the running game get started and be successful this coming season. I know it makes no sense to give Watson any credit, but a factor in the run-game performance, especially the number of long runs, was calling an offensive alignment that schematically helped get a good result. Alan Saunders pointed out some of this in his articles where doing things like lining up 2 WRs to one side of the field caused defenses to shift safeties away from the side where the run was to be called…. Thanks John, I thought that one went over everyone’s head for a second? The surprising thing is just TWO Rushing TDs per Game. Guessing it again relates somehow to the INEFFECTIVENESS of the Passing Game. Think we’re going to find out next year just how REALLY good both Ollison and Hall were. See Daniel Carter as most likely to pick up the slack. Unfortunately, don’t see him as being as explosive as either Ollison or Hall. Then again there is the OTHER Carter. Personally would like to see Narduzzi give V’Lique a shot at carrying the Ball in Whipple’s Single-Back Set. We had big strong guys all along the line, able to open holes for the running game. Unfortunately they didn’t have the skills required for pass blocking, especially Bookser who is too slow a foot to play tackle. This was exacerbated by a Young QB, who did not have the skills to work under that kind of pressure, whether it was feeling the rush, making a quick read, getting rid of the ball etc. He was also hampered somewhat by the play calling, leaving him with no outlets and receivers who were hopeless when the play broke down. I loved the couple times they threw the slant to Mathews, why they never went back to it is dumbfounding. Hopefully Whipple works on some quick release plays and teaches KP and the other guys how to read defenses. Great post. Sales must be slow—or, so good that you are worn out with taking orders. Either way, we POVers benefit. Thanks H2P. Sales are good! I wrote it over the weekend. WordPress has a pretty nifty “schedule” function. I don’t think running back will be a problem next year, plenty of depth at that position. Will there be holes to run through is the question? Also should be mentioned that our receivers are pretty good downfield blockers who contributed to YAC, especially Mathews and Tipton, who were used sparingly in the passing game. another thought on an article would be what PITTofDreams suggested,… who is going to step into the starting role next year for the RB’s and how many yards we think he/they will have. I guess you could do an article on each position group. Or tell me to go pound salt is the next option. Someone mentioned rumors of a second OL and a TE in the transfer mix (from Rutgers?). Is this still a possibility? I believe the answer is yes – underwhelming, but yes. This is off-topic (and, BTW, a good move by MM to move on so quickly from the Clemson BB game thread), but I go to some of the Pitt women’s BB games. I started going to some back when Coach Agnus Beranato put together some good teams. Some of you may scoff at women’s BB (except Annie! ), but those teams with Mercedes Walker, then Shavonte Zellous, (and especially Mallorie Winn! ;-)) were fun to watch. Not so much fun lately with the poor job of recruiting and retention that Coach Suzie did, though I enjoyed seeing them finally win one against Duquesne this season. They will have a tough time winning a game in the ACC – right now they are 0-8, I think. Anyway, I sent an e-mail to Coach White trying to give him some encouragement. Has to be tough for him and his coaches who have come from winning programs. Plus it’s tough for the players to be so over-matched game after game. Was pleased to get a nice reply e-mail from Coach White. Said it will take time to turn things around but he is excited for the future. He has 5 recruits and one transfer coming in to provide help for next season. Anyway, just nice to get a response from a coach going through a long, tough season. In spite of the W-L record, there are some signs, at least to me, that Coach White was a good hire. He has hired an impressive staff, mixing young coaches with Coach Mitchell who was a successful head coach for many years. And they have the team playing more aggressively, like the men’s team, on both offense and defense. And a post player, Soph. Cara Judkins has made good progress this season. You are a good fan, Major. Despite what we may read here from time to time, coaches are human beings too and everyone gets a boost from encouragement. He’s one of the best coaches in the country and a great hire. Good for you supporting them. Excellent article Maestro…you even got the correct shade of blue in the graphs. Very detail oriented. Yellow numbers on this graphs ! 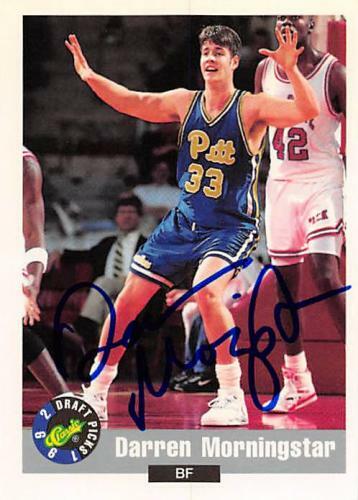 OT: Pitt BB lost another recruit Wahab to Georgetown. Is Capel losing the magic touch from last season? Or is he just going after the highly rated star candidates that ever BB program under the sun is looking for? He must have watched last night’s game…. jrn, I assume the latter… that’s what he was used to doing while at Duke. Agreed – and Duke gave Capel cred – with Pitt he will have to earn that cred and that will be hard to do. Over time, if he can win with below average talent, he will start to get talent at the bigger positions. Until then, he will need to use the grad transfer route. Why can’t Pitt Basketball recruit? Narduzzi isn’t on the BUBBLE until next week when Devonshire makes his choice. But I do appreciate the humor. Blows a HOLE in the idea of Kids putting a premium on playing at the Pete. Personally, never bought into that one. Just what does the Pitt history in BB have to offer any recruit that other programs don’t have? With the exception of some decent results playing in the Big East Pitt is an also ran in BB athletic circles for the most part. And recent history suggests we are out of our class in playing in the ACC. Wahab, another case of parent intervention…. Which isn’t necessarily a bad thing at times but it makes you wonder about graft. Mike – that was a superb read. Thanks so much (again) for the quality posts. I wonder how the tandem of Dorsett and Elliott Walker compared to them? I sure hope Devonshire goes with Pitt. Would be a bad look to announce he’s going to UK on PSN. Can’t emphasize enough how disappointing it is to hear that Capel lost out on another big man. We knew it would take time, but it appears most good players want to go to a program that is already good rather than help build a program. Georgetown, Seton Hall and Illinois haven’t been top level programs in quite sometime yet they are getting these bigs. So Pitt’s image from last year must be very hard to overcome. Morningstar wasn’t much better than Brown at the same point in their careers. That there is some bad ju ju. I remember how worked up Walt Harris was at the pressed on LOI day. Morelli was public enemy #1 around here as a result. If memory serves, Johnson finished up at Akron or Toledo, and Morelli had an underwhelming tour of duty at the Dairy College. what allegedly changed Morelli’s mind is that he wasn’t selected to play in a national HS all-star game and he was told the reason why was that Coach Bob Palko blocked him. Palko was coaching the East squad. The scout who picked the team swore that Palko had no input whatsoever but apparently Tom Bradley (PSU’s WPa recruiter) or someone else from the Dairy school convinced him otherwise. Johnson and Morelli… LOL! Not their best life decisions made. Erie, I didn’t phrase my comment well. I was trying to say that most highly sought after recruits will go to successful programs. However, even average to below average programs like Illinois, Georgetown and Seton Hall were having some success in getting the bigs that Pitt was after. I think that last year had a lasting negative effect on Pitt’s brand and recruiting ability. Agreed – not even a good recruiter Lyke Capel can change the image Stallings left on this program. I would not worry about Capel. Pitt is a tough sell right now. 2020 will be “the” class that gets Pitt fans excited. I’ve always thought that and mentioned it before. If Capel can get a couple more moderately ranked role players in this class and get them experience next season for depth, then add a couple of heavy hitters to go with Juniors X and McGowens in year three, Pitt will be fine. There’s a couple kids (twins) that they’re chasing in Philly for 2020 that could reclassify for 2019 too. There will be some diamonds in the rough to be found. I wasn’t sold on this G-Town kid anyways, so I didn’t see it as a big loss. He’s going to take a couple of years to develop. I’d rather go three forwards with length than a true center. That’s just me though. Forwards are easier to develop faster as well. Tossing, I agree that Pitt is at least 2 years away from making noise in the ACC. But it still is important that they continue to show progress and have a good story to tell for the recruiting trails. I really think that they will need to get to .500 in the ACC next year to continue to sell recruits on Pitt’s BB resurgence. Great article Mike. And I will for the final time mention that there was one POVer who predicted both backs would get 1000 yards, even if that prediction was pure luck…😎 H2P! Kofi Cockburn was a big loss for Capel. PT, I’ll be paying close attention to your predictions next year. I said this from day one with Capel and will repeat it. If you are going to be a force in mens college basketball, your AD has to allow you to “play” the game. If there is a player with a “handler”, there is a problem for “straight recruiting”. If you aren’t prepared to play the game, the recruit is gone. It is simple math. I support this idea of playing the game. Recently listened to Coach K after the Pitt game. I would recommend everyone listen to it. In a nutshell, he said that Capel was NOT his lead recruiter for the 4 and 5 stars. He emphasized that a lot, almost to the point he became angry. They recruit as a team but K said he was the closer and not anyone else on his staff. Sounds crazy, right? I am keeping III until Capel gets us to the ncaa tourney. Coach K wants people to think he is still in charge of everything at Duke, not just a figurehead who has assistants running the program. I think he protested a bit too hard about Capel’s recruiting efforts at Duke. Maybe it was truer than he wants people to know. VoR – All the kids they’re missing on were late risers because Capel got to Pitt too late. The main attractions signed in November during the early signing period. Capel and staff are building the real relationships with the 2020 class. There is a fall early signing period so next season will be irrelevant to their core 2020 recruits. They’ll already be signed. I don’t see a path to .500 right now anyways. None of the kids they missed on would be immediate stars that can transform a team. They’ll build next seasons depth thru grad transfers and reclassified players. 2020 is when they’ll be swinging for the fences and actually knocking a few out of the park. … andI 100% agree on the Coach K stuff. K has ego just like every big time coach. He didn’t like the idea of someone else getting credit. He’s the coach and it’s his vision. They did his bidding for him. End of story. Haha. Meanwhile … everyone knows that Capel was the recruiting guy. He’ll land some big fish. Just wait. It’s a process. We’ve been waiting. Do we have a choice? Sure, we could root for some other team Lyke Kentucky or tOSU or UNC. Capel’s start feels a little Lyke Narduzzi’s start – we’ll see what we get in a few years. Capel can’t win “just” the Coastal – let that be noted. How? Signing day for basketball is in November before the season even started? There’s a reason all these kids are still available. If you’ve noticed they’re all dating a lot of schools. These kids aren’t the players we want. If we’re having this conversation next year, I’ll agree but most of the kids who sign in Nov are committed in the spring. Capel had just got here. Short-term, he’ll have to rely on grad-transfers or reclassifications. Both are fine. Pitt was a huge rebuild. This is how you build depth. Then when you add better talent the team can take off instead of struggle because of a lack of depth. Duke was landing players long before Capel and will do so with his absence. I can see why Coach K was edgy about it because it’s comical to think Capel was a huge reason for the success in recruiting. I have always found Coach K to be gracious in both victory and defeat. And he was, for the most part, after Duke beat us last week. Except when he got super edgy when making it very clear that Jeff Capel was NOT the “point man” of their recruiting efforts. Not sure why he got so uptight, but he surely did. Maybe he sees the lack of success Capel is having landing the big men to Pitt (which is hugely obvious) and doesn’t want that negative impression associated with his Duke program. Protecting the brand is part of the CEO’s (HC) job. Coach K does that very well. On subject with this well written article on the RB’s and run game – I was always a big fan of QO (big Q as Emel called him). Class act, hard runner and we beat the Nits in the recruiting battle, straight up. D.Hall and G.Aston are true Pitt men and made us fans proud along with QO. Houdini is 5’11” 190lbs RS FR (if he was redshirted) – showed signs of quickness in his limited playing time during his TrueFR season in 2018. Rumored to have been hurt – I was constantly calling for his game day appearance, despite the fine seasons our two SR’s were having. AJ Davis is 6’ 215lbs JR – has the most playing experience and seems next in line to start for coach Duzz. We will see what the new OC lykes real soon (wait, I forgot, practices are closed to all). Never mind. AJ has the size to be the everydown back – can he pick up the blitz? T.Sibley is 5’9” 215lbs RS SO – we’ve seen nothing that I am aware of while he’s been at Pitt, but I’m intrigued by his size – RS-ed his FR year and rumored as hurt last season. I’m optimistic that one or two of the above will emerge from the pack and dazzle Pitt fans and the yellow seats of Heinz Field. Will they duplicate what our two SR RB’s accomplished? I doubt it, but not many POVers prior to last season thought our run game had a chance to succeed as it did. So the mysteries of another new Pitt season is upon us. Try not to ffreeze – it’s 4 degrees in Central PA – reminds me of growing up as a kid in Erie. according to PG’s Brian Bacho. Houdini (Salahuddin) was seen on crutches after an operation. He is likely to be held out in the spring (non-contact) but should be full strength come August. Davis is more of a power runner while Houdini is supposed to be the better open field runner. I agree with MM that Carter will be likely be used as a slot receiver, although he may also be used as receiver coming out of the backfield. I just wanted to echo the sentiments of many above and say that I really enjoyed the article. While in the throes of winter, it’s nice to read something that provides a positive perspective on a season that had a pretty disappointing ending. Look forward to reading more in the future. I don’t think the screen game works well against 8 or 9 in the box. Too congested. Same with the short passing game criss cross across the middle. Too congested. Same with the sweeps with the WR’s. Those worked when Canada made the defense guard the entire field, especially the seem with Orndorff. For me, Pickett just hesitated too often before throwing instead of just cutting it loose. You snooze, you lose. If you watch the tapes you will see receivers breaking open, but he pulled the ball and ran early. I said it during the first game of the season in our thread and I will say it now for the last time…until spring ball. As far as an effective running game, I think the biggest reason that we were effective was that defenses are recruited and built to defend the run pass option and just the passing game. Our pro style offense was from the pro styles of the 60’s. The 1960’s. Defenses don’t know how to tackle well either because they are afraid to hit hard and high. That helps to pad the stats. We haven’t had a dominating OL for a long, long time. Maybe Otah or Charles Spencer in the run game. I am sure I missed some guys. But I am talking about dominant road graders. I miss that and would love to see it again. Pass blockers, well that’s another story. Who was good at that? My wife. She blocked many pass attempts quite successfully.